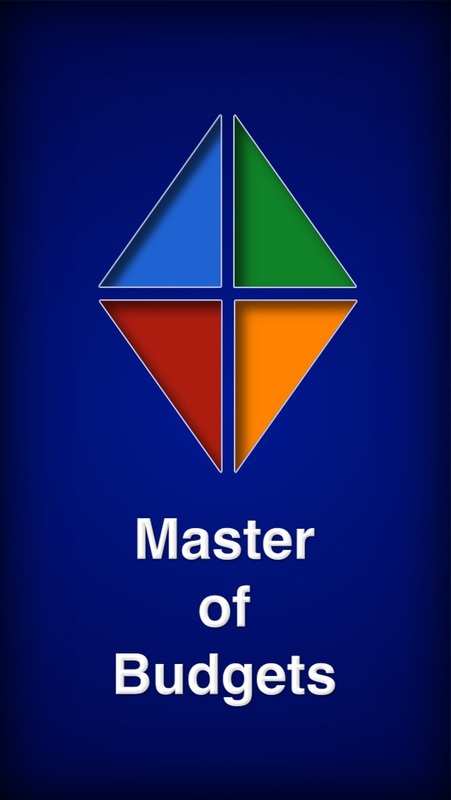 Download Master Of Budgets: Premium free via AppsHawk. 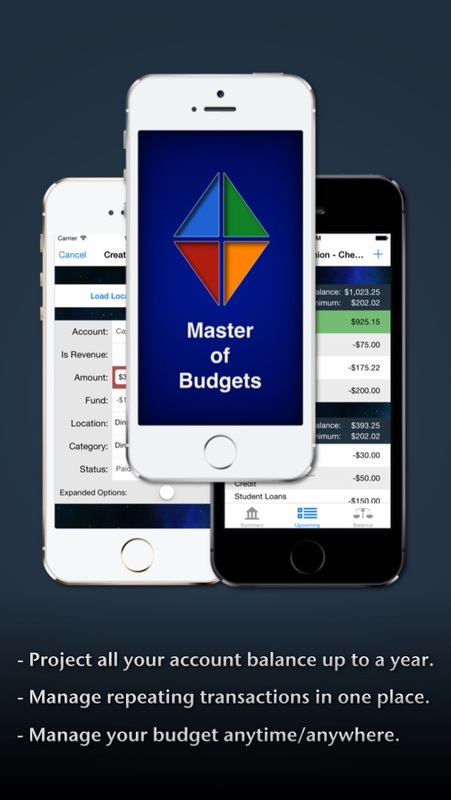 Master of budgets is a simple, yet powerful mobile budget application. With a little bit of set up, you can have a quick look into your budget's direct future. - Set up all your repeating bills and income. - Create repeating funds for things like groceries, gas and entertainment. You deduct from these funds throughout the week. 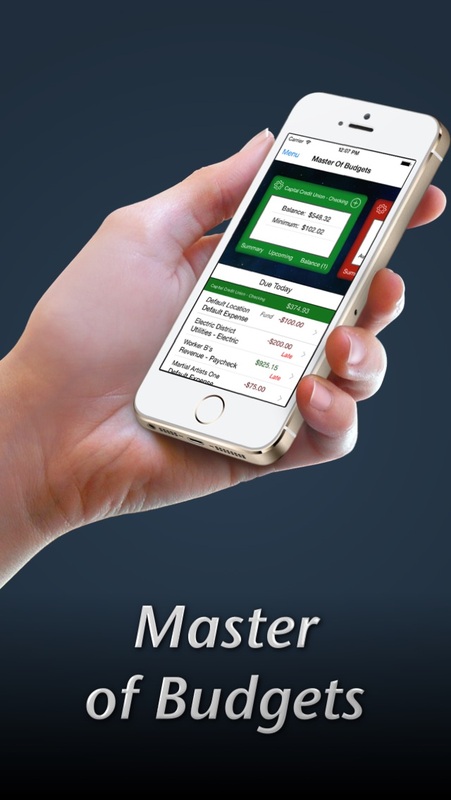 - With all of your future transaction data in the application, Master of Budgets will show you your minimum balance for the next 365 days. - As you pay bills, you will mark them as Paid, Pending, or Posted. These statuses will match how your bank tracks your transaction status. 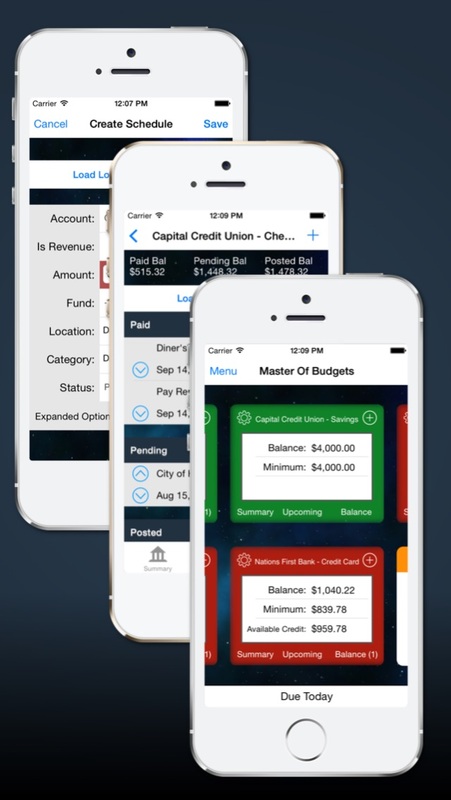 - The Budget Balance screen is organized by status and with a balance for each status. - Match this balance up to your bank's statement to ensure you haven't missed any transactions or entered incorrectly. - Easily move transactions between statuses as they change on your bank's statement to keep in balance. - Each page has a hidden web browser. - Assign a website to your scheduled transaction or on the budget balance page for your Bank's website for 1 click loading. - Easily access the website to schedule transactions. 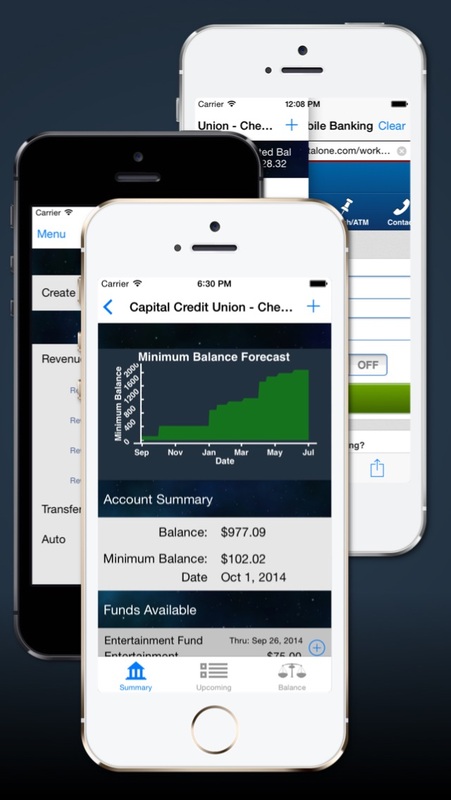 - Swipe access to the web for balancing your budget with your bank's online statement for side-by-side comparison. - Bonus: 1Password support for password management on the web browser. * Note on 17+ rating. This app contains a built in web browser. Due to the nature of the unfiltered web, the app store requires a mature rating.